Every spring the city of Maryville, TN plays host to one of the most unique events of the year: the Scottish Festival and Games. 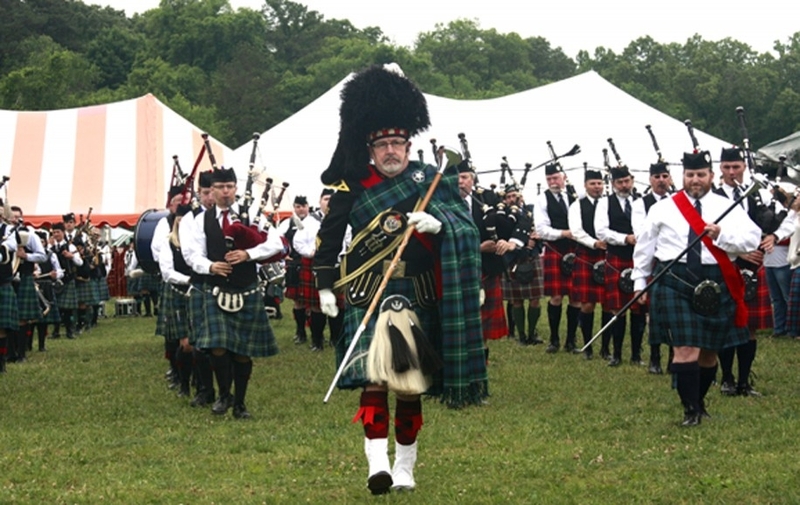 Held on the historic campus of Maryville College in the foothills of the Great Smoky Mountains, this one-of-a-kind festival is a celebration of all things Scottish. It’s fun for the whole family, whether you don your clan’s tartan every weekend, or you know very little about Scottish heritage. The culture of Scotland is so much more than kilts and accents, and the Scottish Festival and Games is the perfect place to learn more about the history, people, and customs of this amazing nation while enjoying some springtime fun in the Smokies. There will be lots of food and drink, live music, dance and entertainment. Music is an integral part of the history of Scotland, and the festival always incorporates several distinct musical performances for attendees to enjoy throughout the weekend. The traditional Highland dance competition is always one of the featured events, and other live music typically includes bagpipers, drummers, and beautiful Celtic folk music. Centuries ago, many Scottish people left their homeland and settled in the United States, with a particularly high concentration of settlers in the southeastern region and around the Smoky Mountains in particular. Now, you can learn more about the history of Scottish people in the Smokies and how they impacted life and culture in the region. 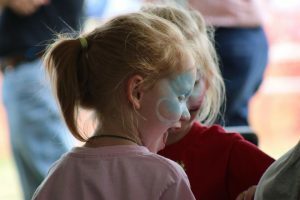 If you have Scottish ancestry in your family, you can even research your own heritage at the festival and see how your ancestors may have come to the area. We know what you’re thinking: how have we gone all this time without mentioning that most celebrated of Scottish beverages: Scotch whisky? Well have no fear, because the Scottish Festival and Games is never complete without Scotch tastings during the festivities. Connoisseurs of this world-renowned beverage will be on hand to introduce attendees to a few of the different regions and flavor characteristics that make up the vast realm of Scotch whisky. They may not be able to sample the whisky, but there’s still plenty of fun in store for the kids as well. Kid-themed entertainment opportunities such as face painting, crafts, and other games will keep them busy all weekend long. The festival also holds a kids-only version of the famous Highland Games, where the young ones can participate in scaled-down editions of such classics as the Caber Toss and the – somewhat improbable – Haggis Hurl. The festival is more than dog-friendly – it features a dog show and parade, where some of these intelligent and hard working animals will even be decked out in their family’s tartan colors. It’s one of the most popular events during the weekend, and don’t worry, breeds other than Scotties are welcome to join! And last but not least, the festival wouldn’t be complete without the annual Scottish Games. It is believed that many of these competitions have been a part of Scottish culture since at least the 11th century, when the king of Scotland ordered peasants to race so that he could find the fastest messenger in the land. Thankfully, today’s competitors don’t have to bear that burden, but they still thrive on performing these feats of athleticism for a crowd! Watch as participants toss massive poles end-over-end in the Caber Toss, hurl a traditional Scottish hammer in the Hammer Throw, and much more. The Scottish Festival and Games is held annually in Maryville, which is a beautiful drive – as guests in our Wears Valley cabins know – about 40 miles to the west of Gatlinburg. If you’ve made it to Townsend, perhaps on your way to Cades Cove, or for that fun town’s own festival, then you’re already halfway to Maryville – which in June usually has its own festival, the BBQ Bash. But in May, the Scottish Festival offers a compelling reason to go the extra miles. For more information about the festival, including ticket information and registration for events such as Scotch whisky seminars, check out the official event website. You can also visit the Facebook page to connect with other attendees and see photos from past editions of the festival.